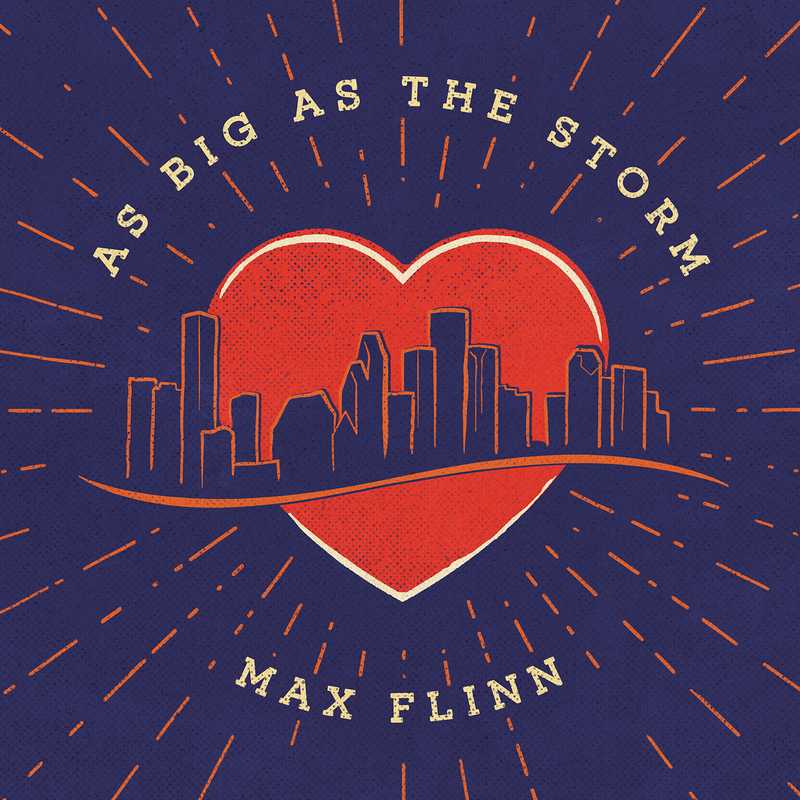 “As Big as the Storm” is a celebrated song by country singer-songwriter and native Houstonian, Max Flinn. The song paints the picture of Houston after Harvey and the incredible display of courage and compassion shown by fellow Texans, as well as Americans from all over the country. The song has been praised for its smooth vocals over beautiful instrumentals and its compelling, powerful lyrics. The project has become a collaborative effort to help the people of Houston recover from one of the worst natural disasters in our nation’s history. Many families lost everything they own, and much of the damage was uninsured. The road to recovery will be a long one and much help is still needed. Max Flinn and KerbowMedia are devoting three months of service to this cause. The campaign will be from January 12 – April 12, 2018. 100% of funds raised from donations, song downloads, and T-shirt sales are going to Harvey relief efforts managed by our selected charity, Save the Children. They are still working hard to help the little ones affected by Harvey and could use a lot more support. Contributors to this special project include a who’s who among the Houston and Texas country music scene. In addition to Max on lead vocals and acoustic guitar, the song features Jody Cameron on pedal steel, Stephen Snoe on fiddle, Chad Ware on electric guitar, William VonReichbauer on upright bass, Travis Bishop on keys, and Chris Ardoin on drums. The song was mixed and mastered by Lyndon Hughes in the renowned Houston studios of Stormy Cooper Media, producer of many Texas #1 hits. The iconic artwork found on our T-shirts and album cover was donated by Grammy Award-winning designer Shauna Dodds of Backstage Design Studio. We humbly offer this song as a gift to the people of Houston, and we hope that it may bring inspiration to those who are still suffering. Thank you to everyone who helped in our time of greatest need and thanks for your continued support. God bless y’all!